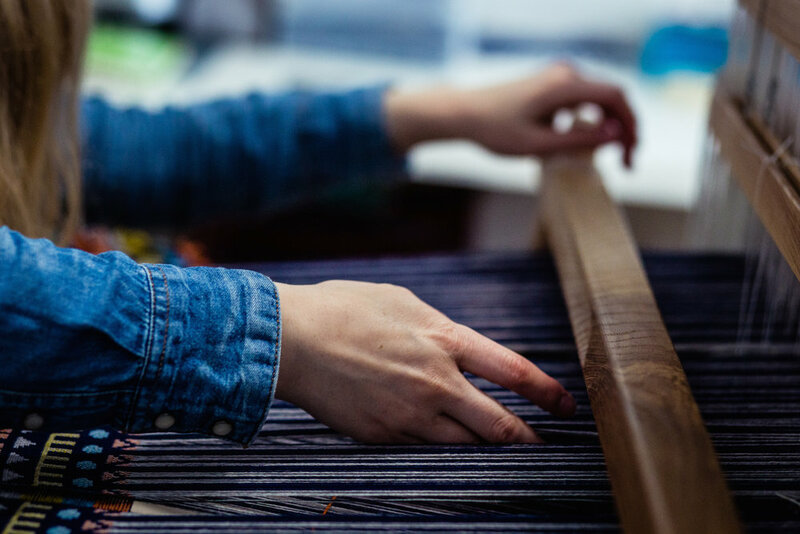 Early last year I was approached by Andy Guard, Head of Design at Roger Oates, to collaborate together on an exciting new project - a lifestyle collection inspired by the company archives and signature rugs and runners. I was thrilled to be asked, having always admired their minimal and sophisticated aesthetic, attention to detail and dedication to using quality, natural materials. 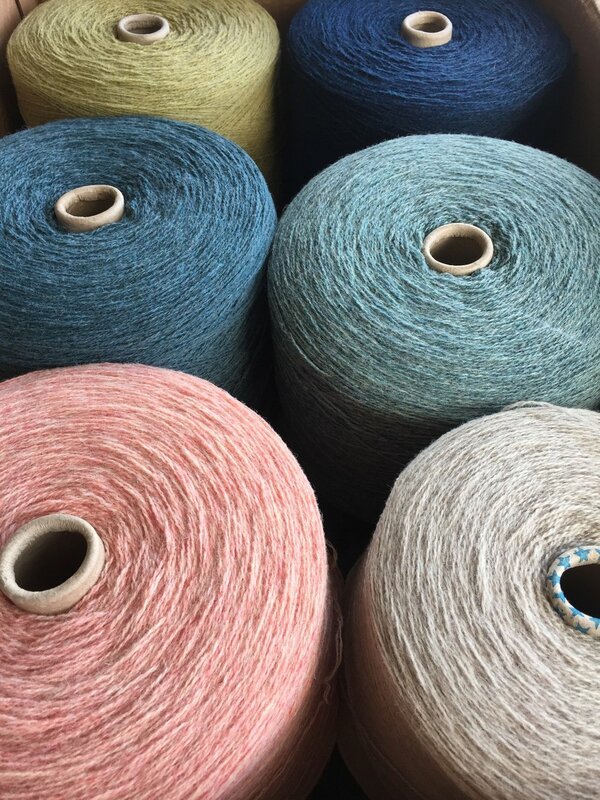 After a visit to the Roger Oates studio and workshop in Eastnor to meet the team, I couldn’t wait to get started and returned to my own studio with bags of samples and colour swatches to work with. Of all the designs in the Roger Oates archive, it was a classic called “Masai” that made the biggest impression on me. Bold and graphic with strong lines yet the weave structures gave such a beautiful texture that softened the whole look. 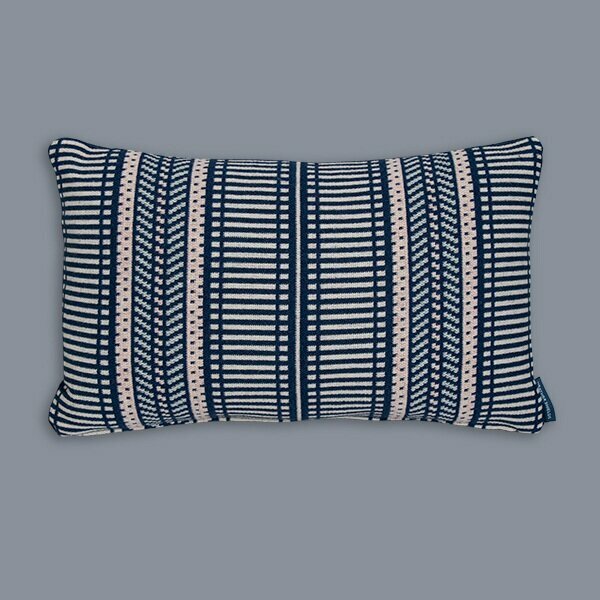 I decided to base the new lifestyle design around a re-imagined version of Masai, capturing the linear elements and taking inspiration for the colours from British Railway posters from the 1950’s. 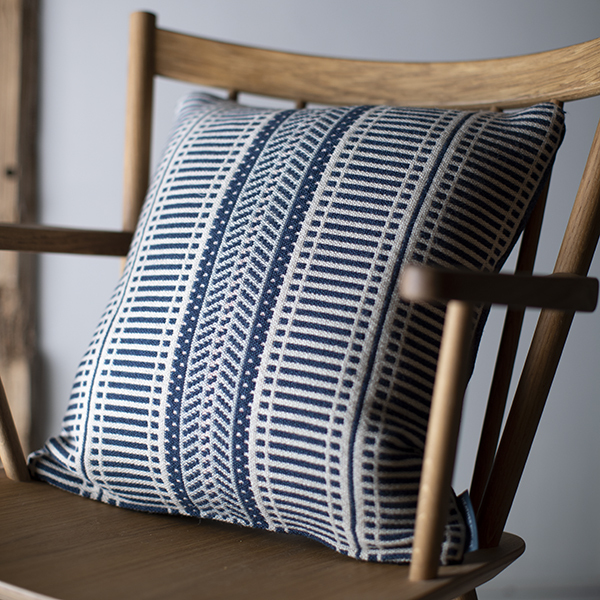 Woven in Scotland from 100% wool, the new design has come to life as a collection of double cloth blankets, cushions and upholstered benches in inky blues, soft neutrals and highlights of blush pink and pale teal. To find out more about the inspiration behind the project visit the Roger Oates blog or shop the collection via the Roger Oates online shop.